A.J. 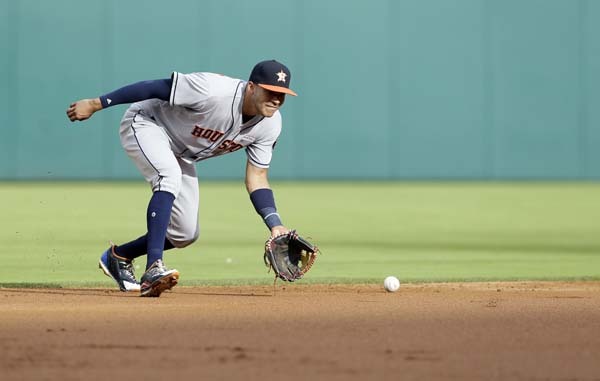 Hinch isn't getting caught up in the streaks or all the impressive things the Houston Astros are doing this season. 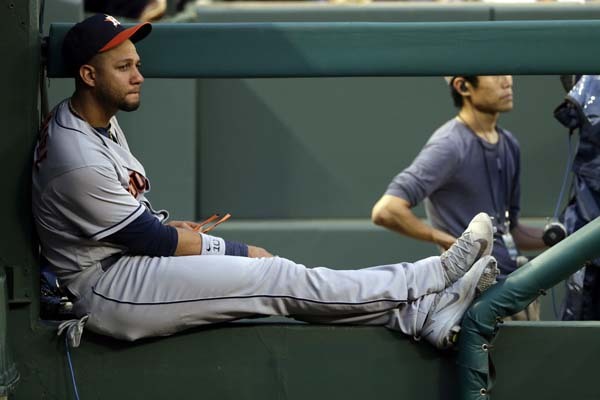 Their manager is just relishing each victory, and the Astros have 40 of them after winning their major league-best ninth in a row with a 6-5 victory over the Texas Rangers on Saturday night. "It means we've put a lot of games together in a row successfully," Hinch said. "We don't get caught up in first to 40, or leads. It's June and we're trying to win as many games as we can." 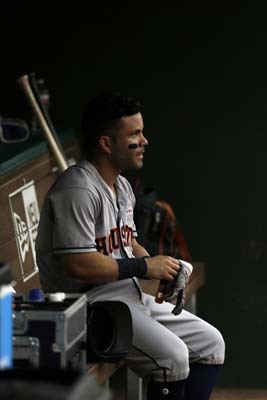 Carlos Beltran had three hits and drove in three runs, Jose Altuve capped his three-hit game with a key homer leading off the ninth and the Astros (40-16), with best record in the majors and best start in franchise history, are already 14 games ahead of two-time defending division champion Texas. "Everyone is having a good year, everyone is swinging the bat well so it's kind of rare to see that from top to the bottom, anyone could do damage," Beltran said. "It's fun for us. For other people, I don't know how much fun it is." 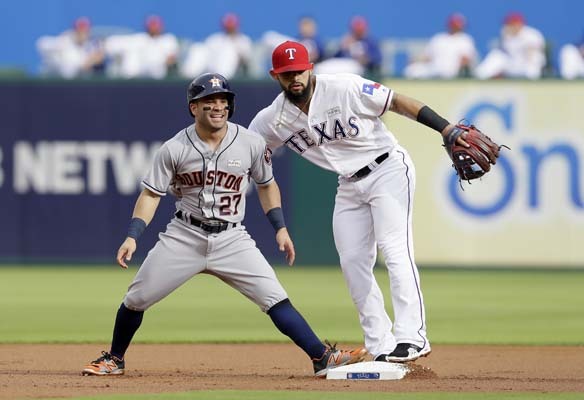 The Rangers are 3-10 since a 10-game winning streak last month that is still the longest in the majors this season - a mark the Astros have a chance to match in the series finale Sunday. Six Astros pitchers combined for 18 strikeouts, which came only nine days after Rangers hitters matched an MLB record for a nine-inning game with 20 strikeouts against five Boston pitchers. That included four strikeouts by second baseman Rougned Odor hitting fifth. His first three strikeouts came with runners in scoring position, and the last ended the game with a runner at first. "Obviously he was a guy who was so good for us last year and obviously good for us in certain stretches this year," manager Jeff Banister said. "Hitters go through certain stretches and this one is obviously challenging." Beltran's seventh homer leading off the second tied the game at 1-all after the Rangers got a quick run off Lance McCullers in his first start since being named the AL pitcher of the month in May. The Astros went ahead to stay after six straight batters reached with one out in the third, and four of them scored. Carlos Correa had a tiebreaking RBI single before Beltran's two-run single off Andrew Cashner (2-5). "You can go through so many guys tonight that stepped up and made big pitches or had big at-bats," Hinch said. Chris Devenski (4-3) worked 1 2/3 scoreless innings after taking over for McCullers in the fifth. Ken Giles worked the ninth for his 15th save in 16 chances even while allowing an RBI single by Adrian Beltre. McCullers struck out eight but gave up six hits and four runs - three earned - in 4 1/3 innings. He was coming off a month of May when he was 4-0 with a 0.99 ERA when he allowed only four earned runs in 36 1/3 innings. Elvis Andrus, who got married Thursday when the Rangers had a day off, had three hits and drove in three runs. He had a two-run double in the fifth and scored on Beltre's one-out single that chased McCullers. Beltre has 2,950 career hits, including eight in five games since his season debut this week after missing the first 51 games because of calf issues. 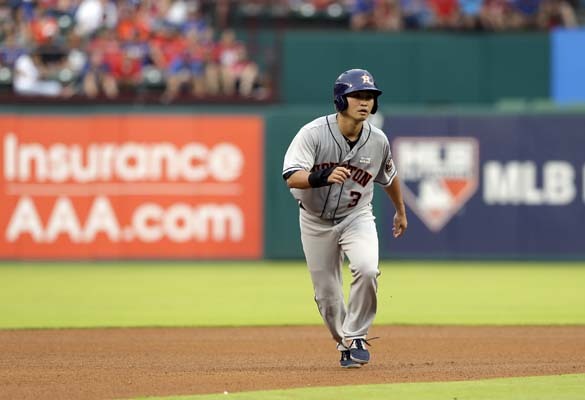 ... Astros LF Norichika Aoki got his 1,995th career hit, his 711th in the majors to go with 1,284 he had in Japan. When third baseman Beltre fielded a grounder in the fifth, he tagged Beltran for the final out. 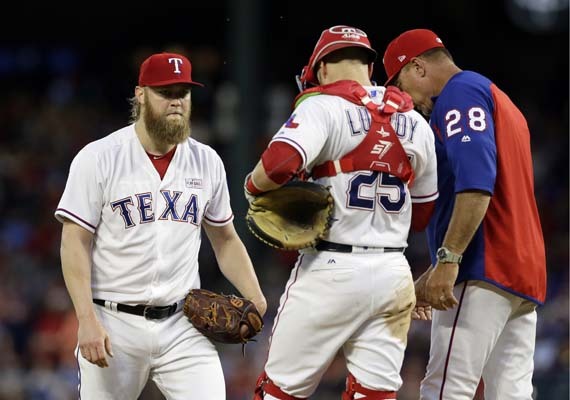 The two, teammates with the Rangers at the end of last season, ended up in an awkward hug, "He was trying to tag me. I had nowhere to go, so I just ended up giving him a hug for the great career that he's had in baseball," Beltran said. 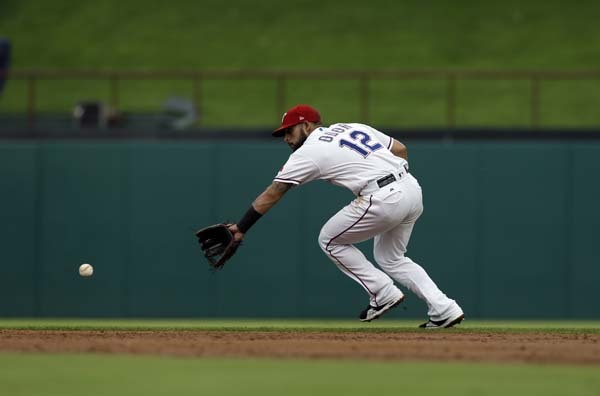 Rangers: 1B Mike Napoli left in the fifth inning because of back spasms. ... LHP Cole Hamels (right oblique strain) is scheduled to have his first bullpen session Sunday since sustaining a right oblique strain while warming up and being a last-second scratch before his scheduled start May 2 at Houston. Astros: Houston is going for its 10th consecutive road victory, which would match the team record set in 1989. Rangers: Martin Perez (2-5) starts as the Rangers try to avoid being swept in a series at home for the first time since losing three straight to Cleveland to start the season.